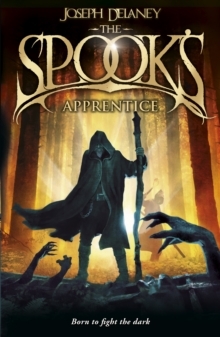 The Spook's Apprenticeis the first book in Joseph Delaney's terrifyingWardstone Chronicles- over3 millioncopies sold worldwide! For years, the local Spook has been keeping the County safe from evil. Now his time is coming to an end, but who will take over? Many apprentices have tried. Some floundered, some fled, some failed to stay alive. Just one boy is left. Thomas Ward. He is the last hope. But does he stand a chance against Mother Malkin, the most dangerous witch in the County?